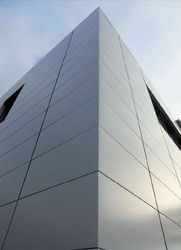 Our range of products include ACP Cladding such as Shiny Cladding, Mirror Cladding, Aluminium Cladding and ACP Cladding. 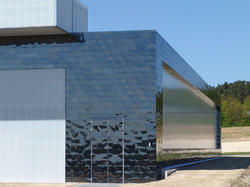 We are ranked amongst the foremost firm that is engaged in supplying a wide range of Shiny Cladding. The offered cladding is manufactured using premium quality raw material and modern technology in sync with industrial norms. With the valuable assistance of skilled team of professionals, we are offering an extensive range of high quality Mirror Cladding. Illustrious for its remarkable features like less maintenance and aesthetic appeal, the offered cladding is used to provide eye catching look to offices, hotels and other such buildings. By keeping track with the market development, we are offering optimum quality Aluminium Cladding. Used for all kinds of application, as well as walls, roofs or facade, offered cladding is manufactured by skilled professionals using the best quality raw materials and modern technology. 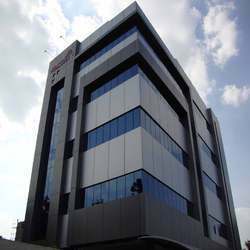 To gain strong foothold in this industry, we are devoted to offer a wide gamut of ACP Cladding to our clients. Only high quality aluminum is used while manufacturing the offered cladding in compliance with international standards of quality.